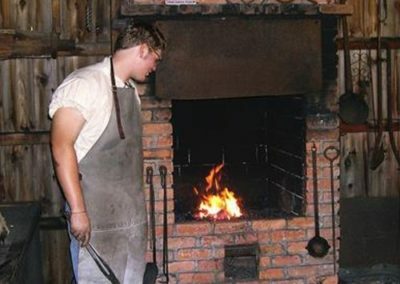 The Blacksmith Shop is a reproduction of the Custer Blacksmith Shop. The equipment came mainly from the shops of the late Abe Nelson and from a shop located in Pentwater. 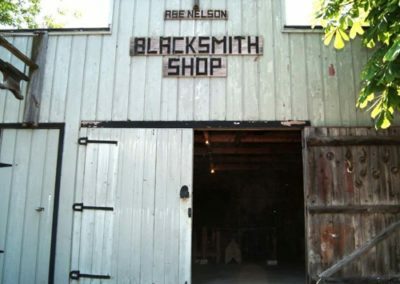 Jerome Jorissen donated the Pentwater Blacksmith Shop equipment. 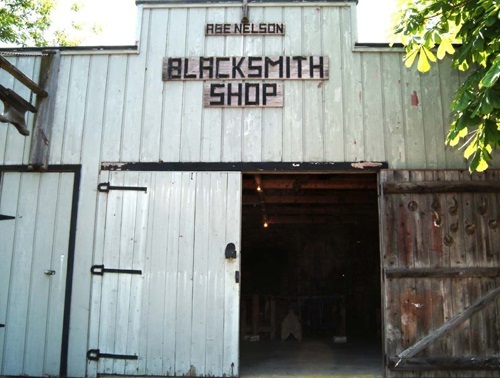 Like other smiths – coppersmith, silversmith, gunsmith, etc. – a blacksmith specialized in working with wrought iron. Because they worked with iron that is comparatively dull or dark in appearance, they were aptly called “blacksmith”. 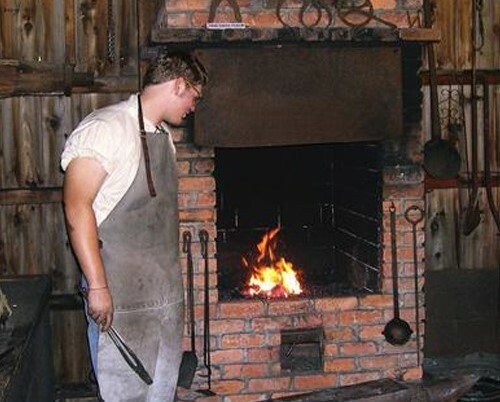 The blacksmith’s job was very important to the early pioneers, providing them with shoes for their horses, farming implements and cooking utensils, to name a few. No village was without a blacksmith!